The Deputy Speaker and member representing Ndokwa East State Constituency in the Delta State House of Assembly (DTHA), Rt. Hon. Friday Osanebi, said the rumour of his sack by the Supreme Court should be discarded. 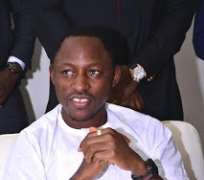 Osanebi, who spoke exclusively with The Nigerian Voice Thursday evening said those peddling the rumour shouldn’t be taken serious. Hear him: “Please, don’t mind them. The case was just heard yesterday. No Supreme Court sacked me. The case is still with the Supreme Court. The case has been adjourned to January; they are just carrying fake news”.